What is the strumming pattern though? Meaning. How do I know the strumming patterns. How do you read the music? The effect you were probably trying to get at the end, is actually better with these chords. Am, G, C, Em, F.
There is more than one artist with this name: 1) Slipknot is an American alternative/nu metal band from Des Moines, Iowa. Formed in 1995, the group was founded by percussionist Shawn Crahan and bassist Paul Gray. 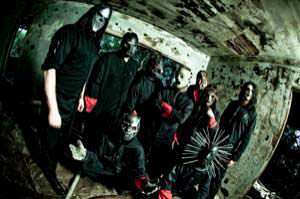 After several lineup changes in their early days, the band consisted of nine members for the greater part of their tenure: Sid Wilson, Paul Gray, Joey Jordison, Chris Fehn, Jim Root, Craig Jones, Shawn Crahan, Mick Thomson, and Corey Taylor. However, the death of Paul Gray on May 24, 2010, left the band with only eight remaining members. .